All massage is relaxing. 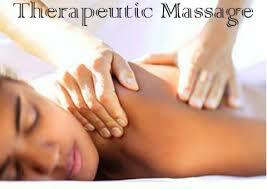 But therapeutic massage is offered with the goal of obtaining a therapeutic benefit. Although both therapeutic and Swedish massage are relaxing...therapeutic massage is more restorative and more healing. Another important benefit is that the healing effects of the massage last LONGER. I am specially trained in multiple modalities that make your massage experience specially customized to your needs. Myofascial Release, Trigger Point Therapy and deep tissue techniques are therapies used as part of the therapeutic massage. You will experience a more healing, relaxing and therapeutic massage with these customization's than with just a traditional massage. *Ask about how to receive 50% off BioMat only packages. *All massages include the therapeutic healing of the BioMat! *Packages NEVER expire AND can be shared within the family! 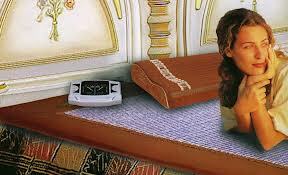 The Bio Mat is an FDA approved far infrared heating device used in healing practices all over the world. It has helped thousands of people regain their health from a variety of conditions. The Bio-Mat can be used for deep relaxation or pain relief from conditions such as arthritis, fibromyalgia or sciatica. Lower settings are used for recharging and rejuvenation; relief from asthma, allergies and headaches. Sauna settings are used for extreme detox, weight-loss and intense healing. negative-ion technology; the three healing elements of nature, which are conducted directly to your body. Try Bio Mat alone, by laying on this mat, feeling relaxed, and healed when you get up, or receive a massage on the Bio Mat, for an additional charge to regular massage prices, and more than double the healing in one session. Use your minutes however you like...match your session length to your schedule! CranioSacral Therapy is a gentle yet powerful technique that is effective in releasing neck pain, back pain, and mental stress (among other things). It does this by optimizing the movement of cerebrospinal fluid through the spine and around the skull. Developed by physician John Upledger, this therapy provides a very soothing and relaxing healing experience. Raindrop Technique is a sequence of anointing with oils and laying on of hands that brings structural and electrical alignment to the body in a relaxing and invigorating manner through the power of essential oils.